This photo, taken around 1940, from the collection of Bob Graham shows Pomeroy Bend Bridge Toll House in Mason, West Virginia. The toll house was closed after the bridge was paid for. 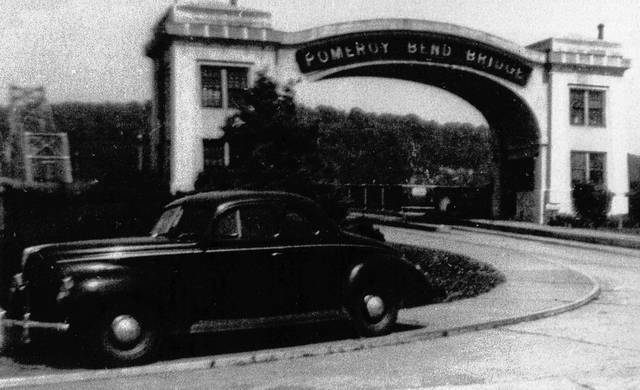 The Pomeroy Bend Bridge has since been demolished and replaced with the Bridge of Honor which now connects Ohio and West Virginia at Pomeroy and Mason.